What’s “90 Different Logic Games”? “90 Different Logic Games” is an interesting assortment of logic games where the player moves through various stages each being a completely different puzzle. The initial screen is confusing. It looks like there are a ton of buttons to tap, but all those button looking things at the bottom seem to only be examples of the logic games included in this bundle. The various star buttons are difficulty levels. 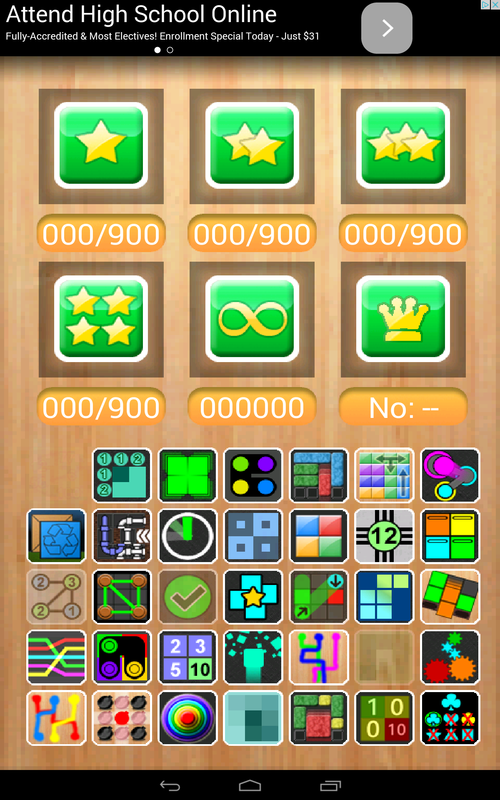 More stars mean larger more difficult puzzles. And yes, that’s 900 stages for each difficulty. Clicking on the first button leads to a visually sickening display of screens sliding over the stage selections and leaves the player at the last puzzle (s)he played. The first three levels are quite simple and are a nice introduction to the game. 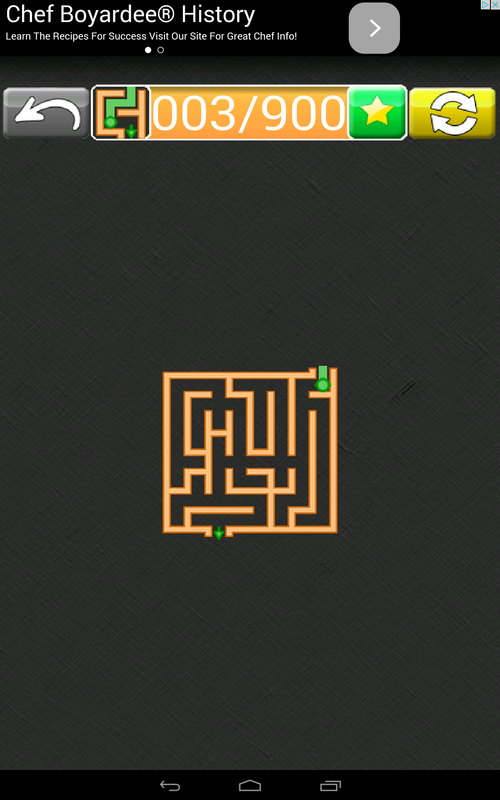 The question mark icon in the upper left can give hints to help the player through these levels. 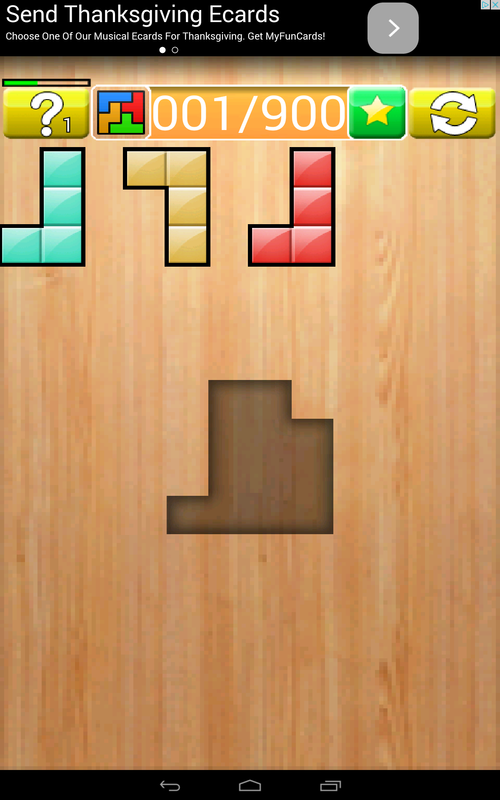 Unfortunately, there seem to be no instructions, so the player is left to figure out what the puzzle wants. Below are some examples of what can be expected early on. Back at the intro screen, clicking on the crown leads to leader boards which is a neat touch, and the infinity symbol seems to be just that. Endless mode. The endless mode doesn’t seem to have any hints. It is not clear what the goal is. 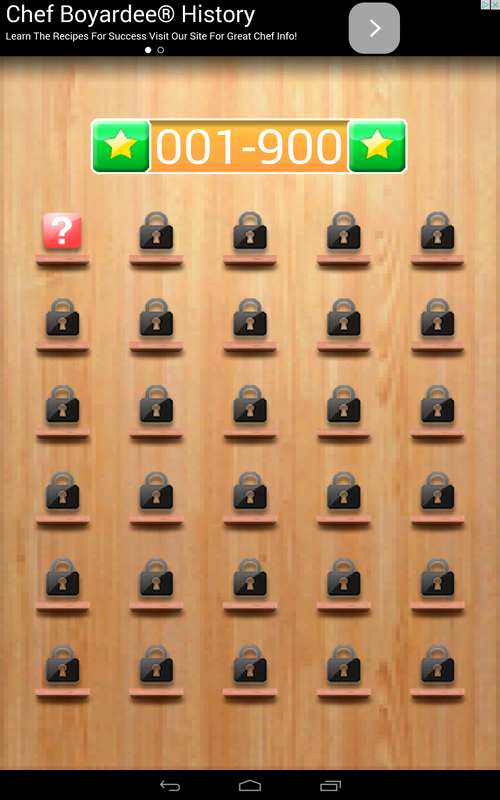 These are logic games. Graphics are not the focus, but still… The images in this game seem like they were lifted straight from the mid 90’s back when Apogee was king. As for sounds… There are none. Some would be a nice touch, but again, not important for logic games. 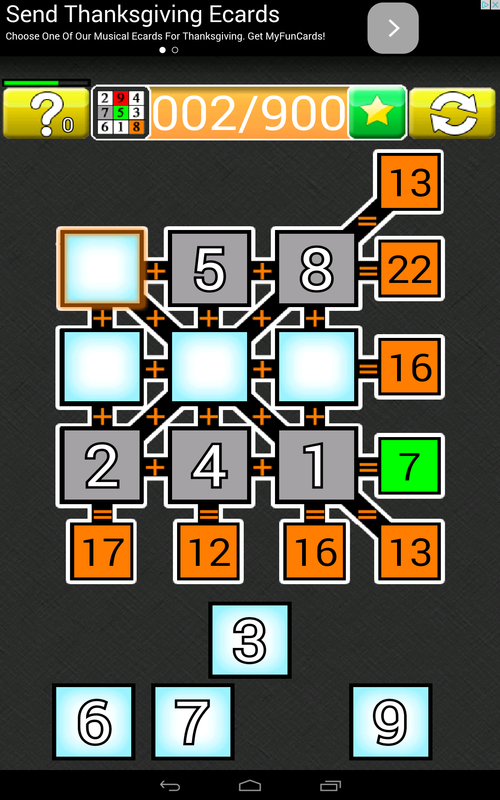 Overall, “90 Different Logic Games” feels lacking. 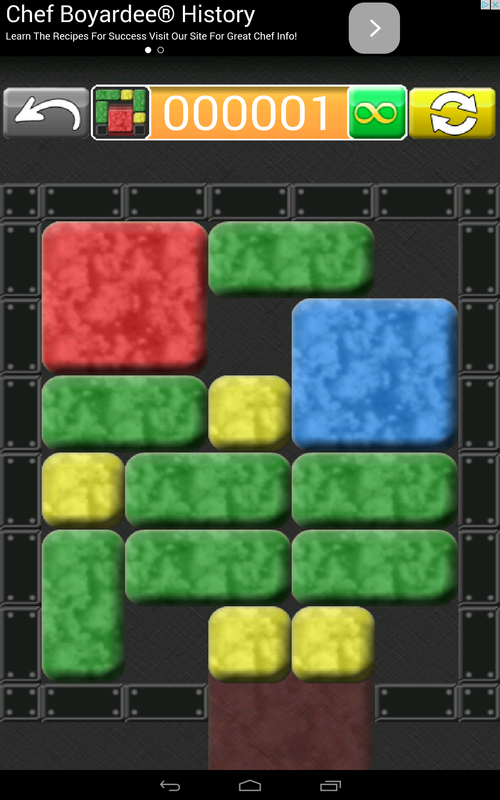 The graphics aren’t great, there’s no sound, and the player can’t choose just one type of puzzle play. However, for those who desire a relentless onslaught of varying logic puzzles, this is for them. Want to test your logic? Check it out here! Tested On: Chuwi Hi8 Android 4.4.4. This is an expedited sponsored review.